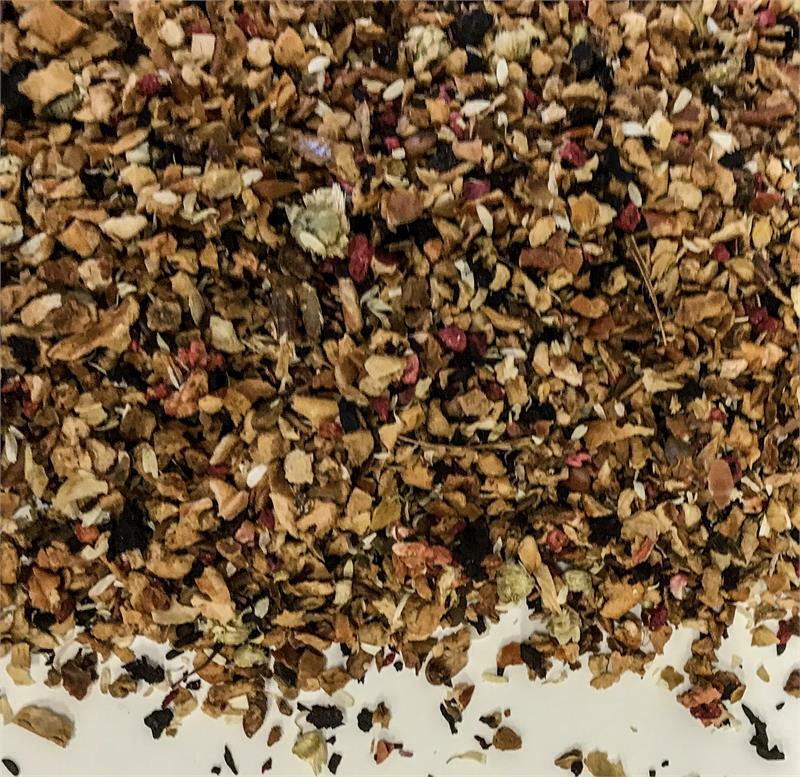 Awaken your taste buds with this satisfyingly sweet blend of dried apples, raspberries, and ripe red strawberries. Packed with real fruit, this caffeine-free infusion makes a healthy beverage that can be enjoyed any time of day or night. 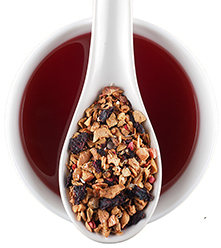 If you're a fan of our popular Blueberry Fruit Infusion, you will want to add this new full-bodied fruit blend to your tea cabinet! 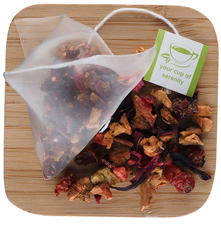 Fruit teas are a healthy way to quench your thirst throughout the day - without the stimulating effects of caffeine. Our new berry blend is an aromatic combination of apples, raspberry, strawberry, redfruit, and hibiscus that brews to a naturally sweet red cup. These big fruit flavors are complimented by calming herbs to make it the ideal drink for any time of day. This is a "forgiving tea" which won't over steep if you forget to decant it. Try it over ice or as a spritzer.